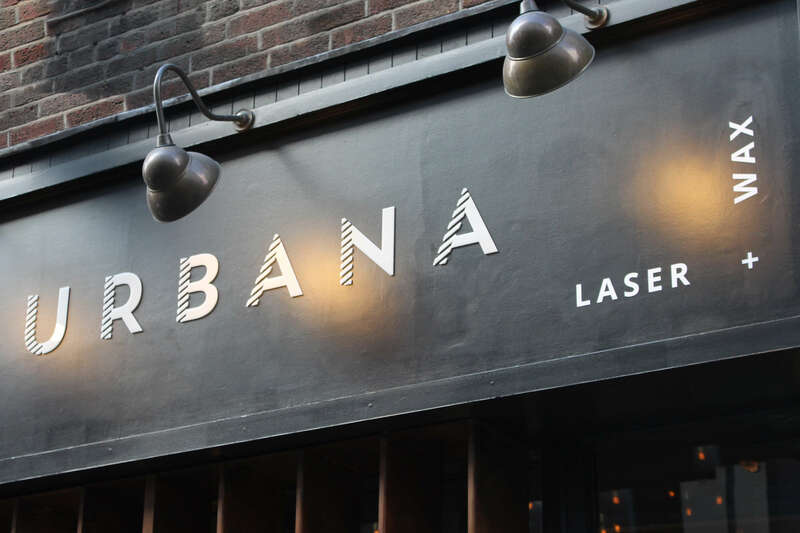 Urbana is Dublin’s leading laser hair removal clinic with an emphasis on customer satisfaction and experience. Their existing visual identity was tired and needed an overhaul in conjunction with the revamp of the premises. We wanted to showcase more of the customer experience through their communications and position them as the number one hair removal clinic in Dublin with an emphasis on the quality of service they provide. We also wanted to elevate their positioning from salon to clinic with a more sophisticated palette and type styles, and a tone of voice that reflected the personality of the people involved. The new identity plays on the idea of hair removal throughout all communications. The logotype works from the before & after concept of removal and this is applied to all aspects of the identity from a strike through the word hair wherever it appears to the rough and smooth mix of paper stocks. Print techniques such as gold foiling and spot UV varnish further enforce the high end experience along with the concept of before and after hair removal treatments.